2. Place the zoodles in a pan over low heat with a tablespoon of olive oil for 5 minutes. Toss the zoodles so that none of them turn brown. 3. While the zoodles are on the stovetop, cut the corn off of the cob. Half your tomatoes as well. 4. 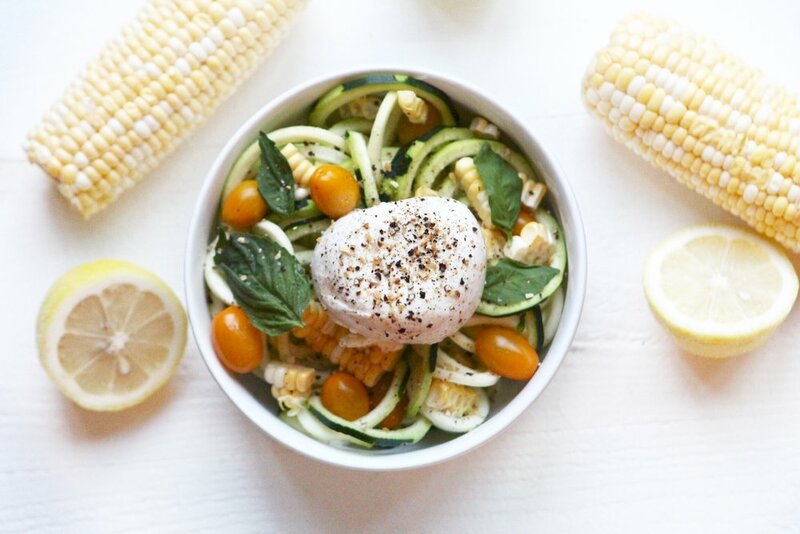 Combine the zoodles, corn and tomatoes in a large bowl. 5. Add the olive oil and lemon juice and mix. 6. Add the pepper, salt, dried garlic, red pepper flakes and mix. 7. Add the burrata on top. 8. Cut basil on top of the salad and serve cold.